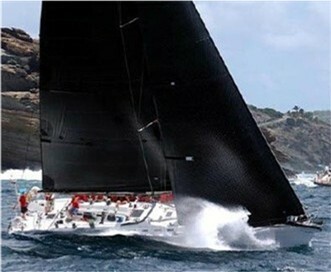 CELESTE OF SOLENT IS A HIGH PERFORMANCE RACING YACHT BUILT IN YEAR 2003. SHE WAS ORIGINALLY DESIGNED FOR THE MILLENNIUM ROUND THE WORLD RACE WITH THE AIM FOR THE DESIGNER BRUCE FARR TO FOUND A YACHT EASY TO HANDLE BY A SHORT HANDED CREW AND AT THE SAME TIME AS CLOSE TO A VO 60 AS POSSIBLE. SHE HAS AN OPEN COCKPIT WITH ROOM FOR UP TO 22 PERSONS. UNDER DECK YOU WILL FIND A BEAUTIFUL TEAK INTERIOR AND EVERYTHING THAT IS EXPECTED FROM A LUXURY 65 FEET YACHT, SUCH AS AIR CONDITION, HEATER, ICE MAKER ETC. SHE HAS ACCOMMODATION FOR UP TO 19 BEDS/BUNKS AND TAKE UP TO 22 PERSONS (CREW INCLUDED) FOR DAY CHARTER. CELESTE OF SOLENT IS EQUIPPED WITH THE LATEST TECHNIQUES AND EXCLUSIVE MATERIALS SUCH AS CARBON FIBER RIGG AND SAILS.